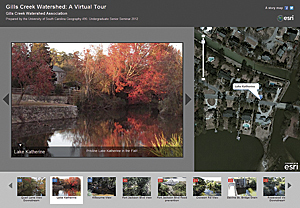 Incorporating Esri’s story maps into the geography undergraduate senior seminar at the University of South Carolina helped students communicate results from their semester-long projects. The authors discuss the successes they had and the challenges they faced to help other instructors recognize the possibilities—and minimize the limitations—of using story maps in their own classrooms. The class is typically structured to partner a group of students (from a few students to the entire class) with local community agencies that have interesting spatial problems. Efforts are made to match agency work with students’ expertise across major and other university coursework. Given these constraints, Esri’s story maps and ArcGIS Online were chosen to enable all students to feel comfortable preparing attractive, informative maps and spatially referenced media to communicate their results and meet the objectives of their partner organization. While all students in the class were seniors in their last year of coursework for the geography major, only about a third of them had worked with Esri’s desktop or online GIS products. Most had no experience in map design. Because the class focus was on the projects and content, there was limited time to dedicate to learning geospatial technologies and cartographic practices. Students could supplement story maps data they produced as part of their project with map and feature services already published by Esri and hosted on ArcGIS Online. Often, students needed datasets that were specific to the class project. These students had to create their own services. While the students’ personal ArcGIS Online accounts were sufficient in many instances, projects that required working with larger datasets quickly exceeded the ArcGIS Online personal account limit for importing files of 1,000 features or 250 geocoded addresses. To work around this, large layers were broken into many smaller layers and then symbolized individually—a challenge without manual classification options in ArcGIS Online. Alternatively, access to the data was made possible via map or feature services hosted on site at the university as an ArcGIS for Server instance. 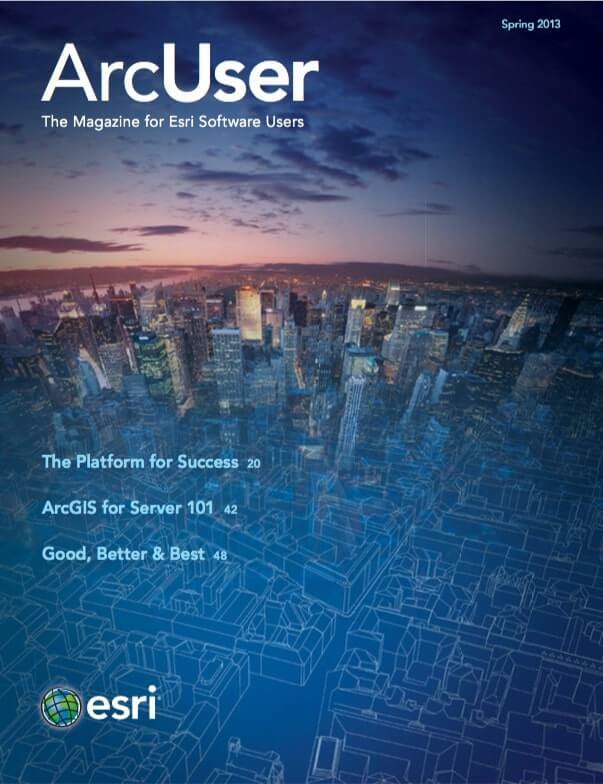 While working with the story map templates and ArcGIS Online, the authors began exploring the ArcGIS Online for Organizations account that had just been provided to the university through its site license agreement. With this additional functionality, student-authored maps and feature services could be hosted on Esri’s cloud. These resources then become simple for the students to consume in their story maps. While the ArcGIS Online cloud provided a number of exciting new opportunities for helping the students present more complex datasets, it also introduced some general considerations for its successful employment in an academic environment. The authors’ experience indicates that using story maps requires active administration of an ArcGIS Online site. The site should be routinely cleaned to remove redundant or orphaned services and applications that are no longer needed. IT staff need to evaluate which approach (feature service or tile cache-based service) is best, in the long run, for distributing the data. Other administrative concerns include the necessity of associating each student’s Esri Global Account with the university’s ArcGIS Online group. While this is a fairly straightforward process, care needs to be taken when assigning rights to a group member and ensuring membership is terminated when the class ends or the student leaves the university. Even with these challenges, working with ArcGIS Online and story maps provided great opportunities to introduce students to web-based mapping and multimedia technologies. The story map concept enabled students with all levels of GIS experience to create professional-looking dynamic web map applications to support and present the research from their class projects. There were definite learning moments for everyone involved in these projects. Creativity was needed to work around the limitations of ArcGIS Online (which can’t be expected to have the functionality of ArcGIS for Desktop). However, ArcGIS Online and story maps made high-quality mapping accessible to all students.